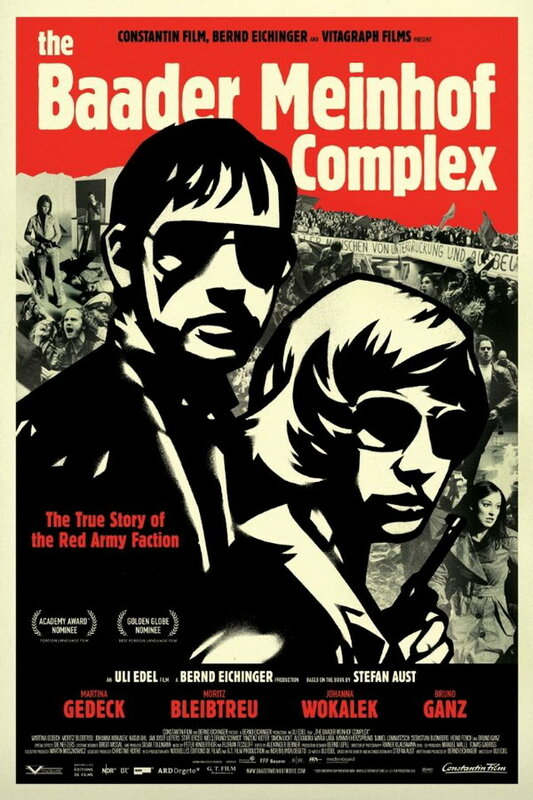 The Baader Meinhof Complex font here refers to the font used in the poster of The Baader Meinhof Complex, which is a 2008 crime biography movie about the German’s terrorist group, The Red Army Faction, which organized bombings, robberies, kidnappings in the late 1970s. The font used for the movie title is probably Block BQ Extra Cond designed by Hermann Hoffmann in 1908. Block typeface is characterized by its distinctive bold characters and very short descenders. You can view more details about the font here. In addition to The Baader Meinhof Complex, Block typeface is also used in the following logos, movie posters or album covers etc., including: Sonic Generations, Catastrophe 1914, Hotel California, Earned in Blood, Charlie Hebdo, Praktiker, Road To Hill 30, City of God, Bear in the Big Blue House.